Few things about life are truly constant. But, there is one thing in particular, which is a constant in not just lives of most human beings, but across the entire life of humanity itself. And, that one thing is change. We've all heard it, most of us have likely said it. How we adapt to a changing environment is a crucial test of who we are. The ability to change, to grow, and to develop beyond our current state is a hallmark, not just of what it means to be human, but what it means to be a better person. 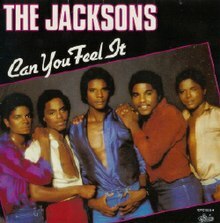 (1980) "Can You Feel It"